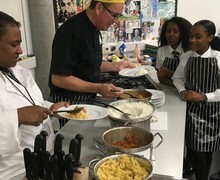 On Tuesday the 20th of November, we had the pleasure of welcoming Chef Dave Taylor and his colleague Stacy Cullen from UK Harvest to Chobham Academy. 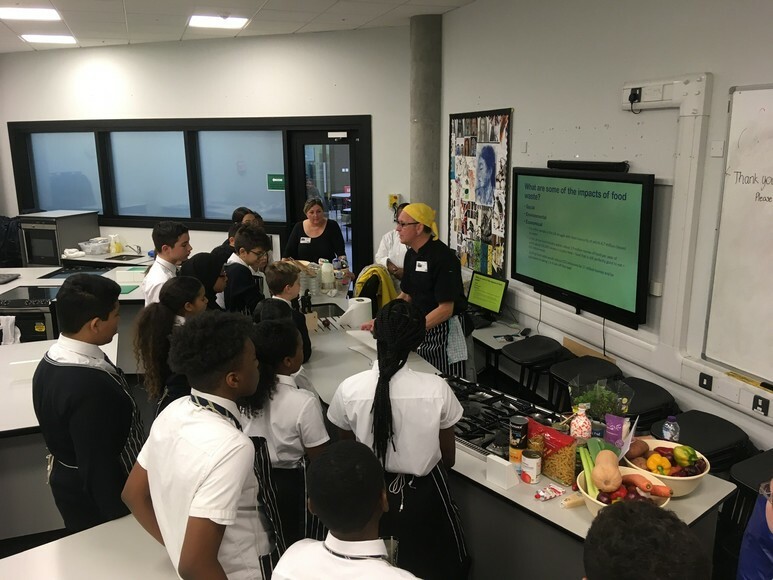 UK Harvest is a not-for-profit perishable food rescue operation that collects quality excess food from commercial outlets and delivers it, direct and free of charge, to charities. 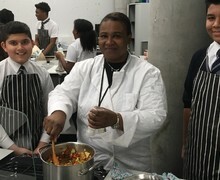 Their aim is to eliminate hunger and food waste through education and the redistribution of quality unwanted food. 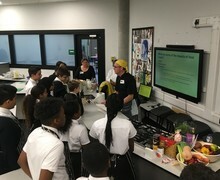 During our time with Dave and Stacey, 20 Year 8 students participated in a in a 3 hour practical cooking session themed around eliminating food waste. 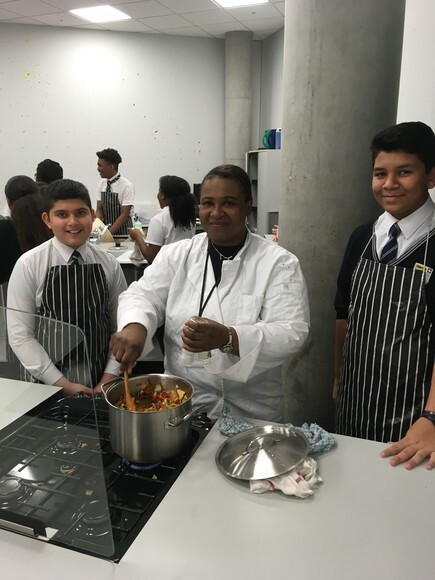 They cooked a range of both sweet and savory dishes including sweet potato curry, vegetable pasta and both apple and banana muffins. 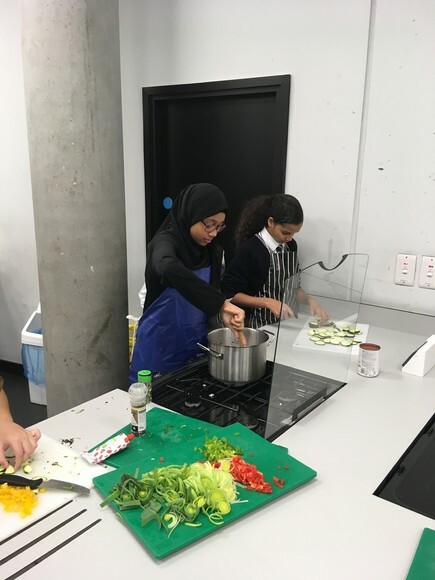 During this session, students developed value life skills, experience in using a range of kitchen equipment and appliances and learnt many new ways how to reduce their own food waste footprint. 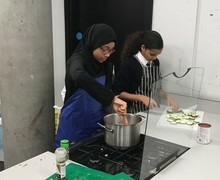 At the end of the session, all students sat down together to enjoy the food they had just cooked as a group and discussed the impact of food waste on the environment. 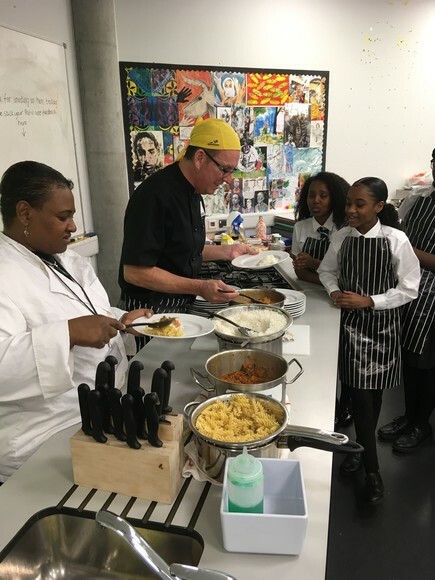 Many thanks to Chef Dave Taylor and Stacey Cullen from UK Harvest for spending time with our students and giving them a fun and engaging practical session based around an important global issue.